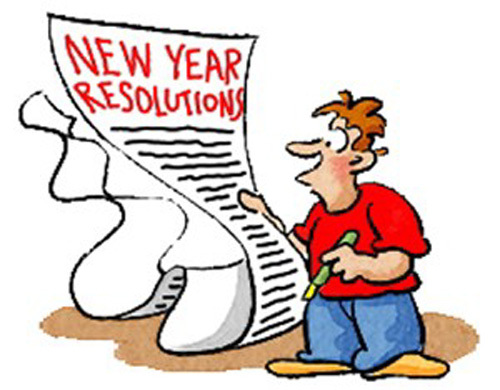 What’s with Making New Year’s Resolutions? Just as sure as that ball drops at midnight on December 31st, we all feel, come January 1, that we need to find something about ourselves we have to fix or change. Why? Think about it. What a tough way to start the New Year—to scrutinize where we’ve failed, how we haven’t measured up. Makes us start what should be the bright and promising adventure of a New Year by shining an internal spotlight on what we didn’t do; that who we are or how we’ve behaved or how we compare with others or our own ideals is not just not good enough. How about giving ourselves a break? How about adding up last year with its disappointments and its shortcomings and saying “Phew! Glad that’s over with. Let’s see what a New Year will bring.” And believing that whatever comes, we can handle it. That there will be opportunities to rise to new occasions. That what we learned last year will help us make better moves this year and that we even have it within us to change what we think we would want to.